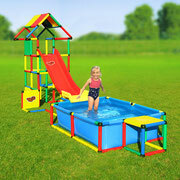 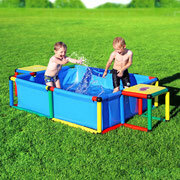 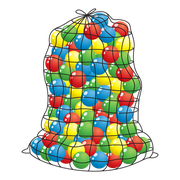 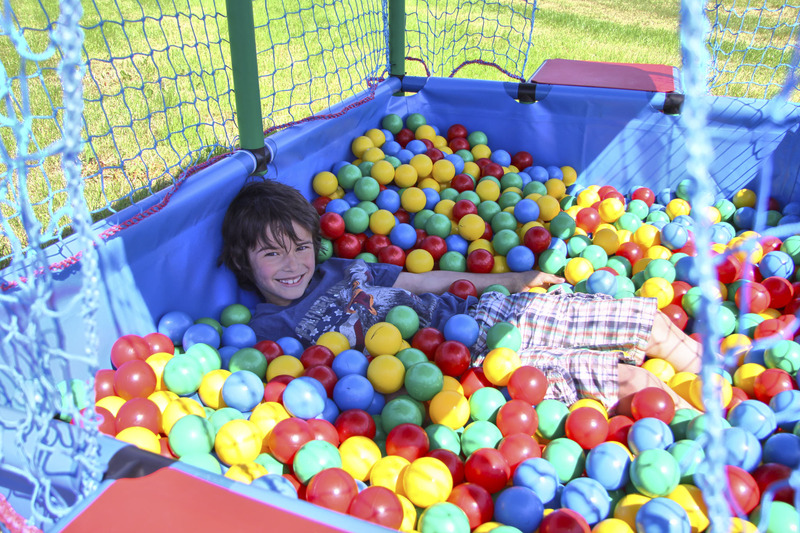 With BALLCAGE you can transform POOL L into a completely sealed ball pit. 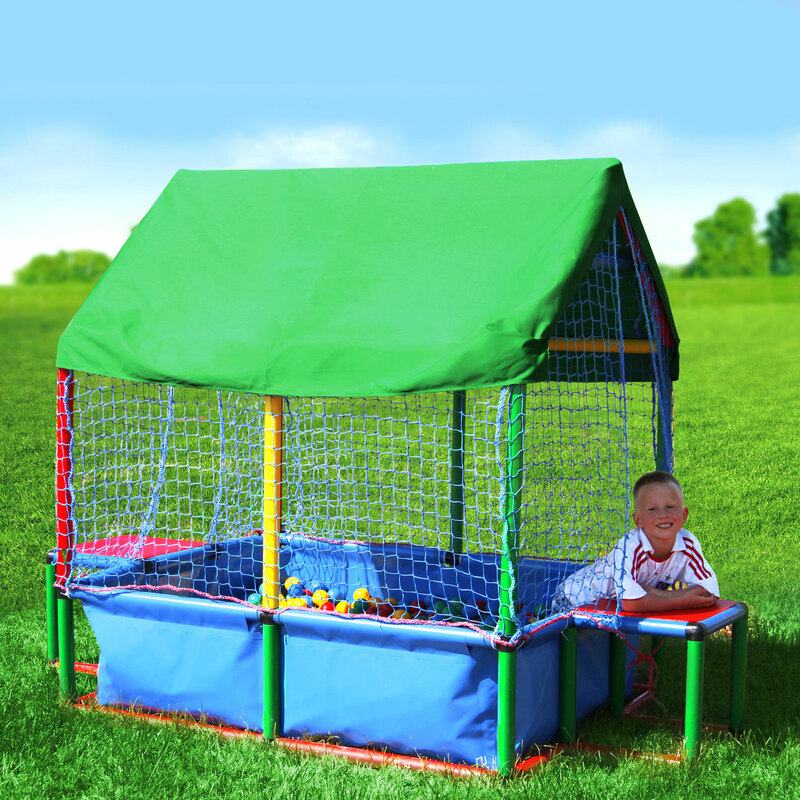 It has a stable QUADRO structure with a textile roof, and the sides are covered with a net. 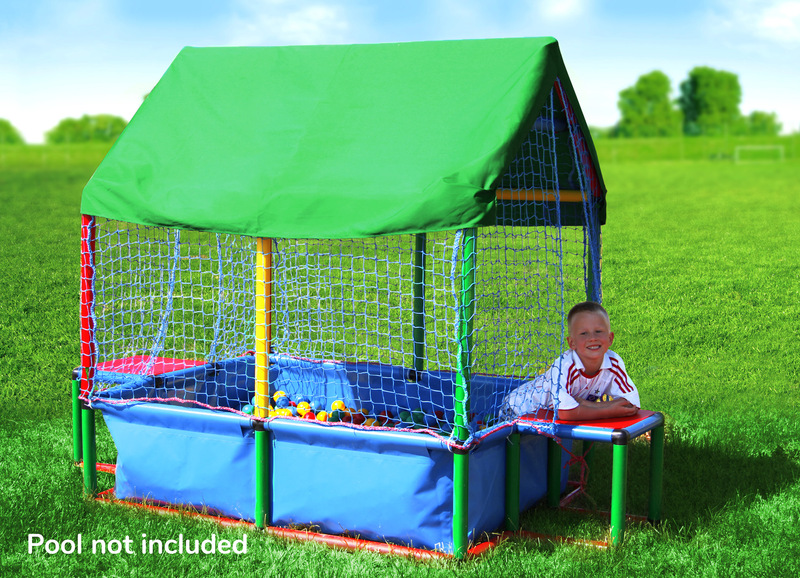 Great for keeping the balls in while the kids let their steam out.